HomeSamut Prakan1 Day Trip at Bang Krachao “the Lungs of Bangkok"
Visit Bang Nam Phueng Floating Market and ride a bike around Bang Kachao “the lungs of Bangkok." 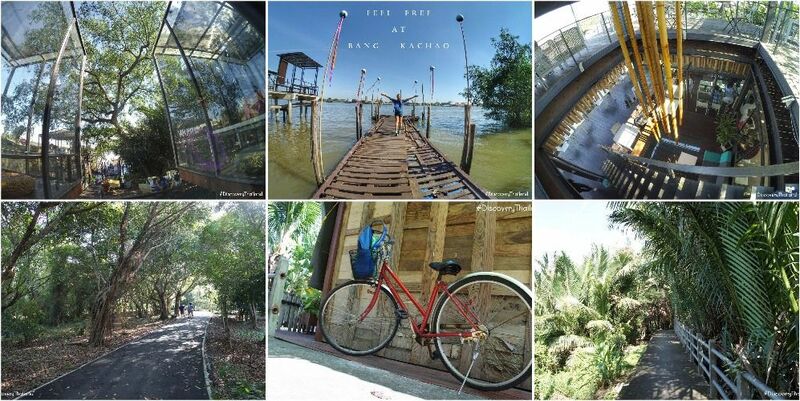 Ride a bike around Bang Kachao. Learn how to make incense sticks or learn how to make handmade clothing dyeing at Incense and Herbal House. Visit Siamese Fighting Fish Gallery. Visit Sri Nakhon Khuean Khan Park and Botanical Garden. You can taste traditional Thailand food and touch the real local life. You will experience an exclusive tour with privacy. I will help you save your good memories by taking pictures for you throughout the trip.